On a scale from 1 to 10, how perfect do you think your husband is? Mine? I can't rate my husband on a scale because he's more than perfect. How is he more than perfect? Well, what qualities in a man do you think it would take to make the perfect man? 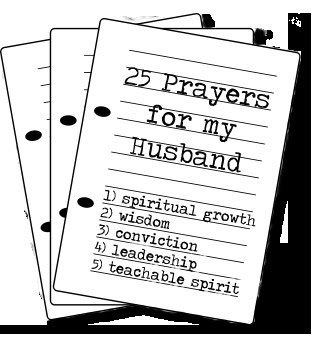 I can list several, but God has a better and more complete list than I do and God has given my husband to me, therefore, he is more perfect than I can humanly conceive. 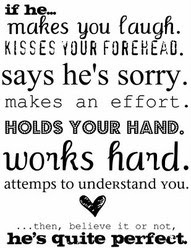 One of the greatest things that makes him SO perfect for me is that he isn't perfect, which goes hand in hand with the fact that I am FAR from perfect, so..... that makes him perfect for me! Yes, he has humanly faults, BUT, I can name my faults in a greater number than I can his. Does that keep me from getting frustrated at times? Sadly, no. Should I complain about my husband's faults? 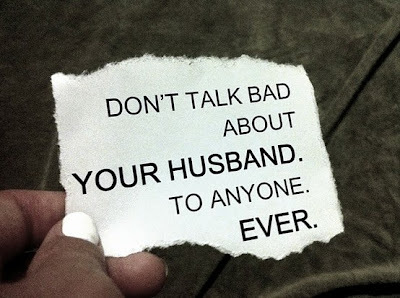 To speak bad about your husband to anyone, ever, is to tear down your own home. Not to mention the scripture that speaks of whoever cast the first stone.... I have no room whatsoever to even be frustrated with my husband. He loves me with his whole heart and I never believed that to be humanly possible. Me, with all my faults. Does he point them out to me? He loves me, encourages me, listens to me, prays for me and that makes him perfect. My marriage is THE MOST important thing to me in my life. 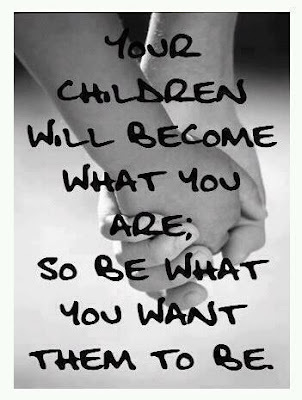 Do you want your daughter/s to be a good wife? I do. Do you want your son/s to know what a good wife looks like so that they can find one? I do. By God's grace and lots of prayer. To see other great quotes and encouragement see my Scripture, Created to be His Help Meet, Keeper of the Home, and A Peek Into My Faith boards on Pinterest. 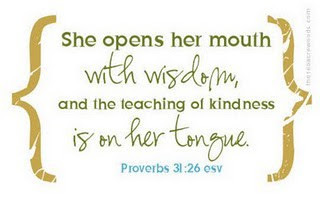 If you have great Scripture, Quotes or tips that are special to you, please share them and/or a link to them in a comment! Beautiful post! Love the picture quote by Howard!! 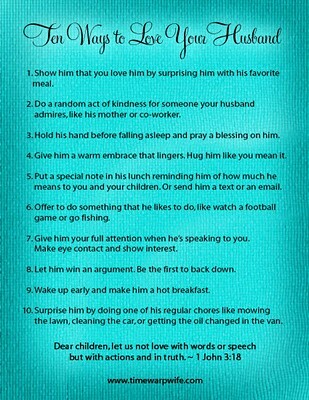 lovely..if women loved their husbands, there wouldn't be so many ugly scenarios like divorce. Thank you for this beautiful post. 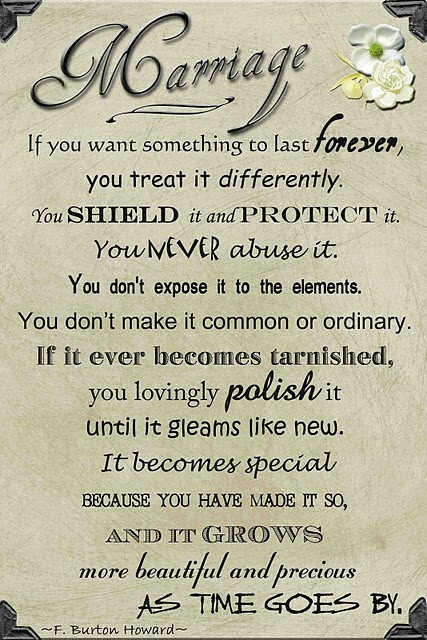 I especially like the quote about the way we should treat something if we want it to last forever. I'm so glad I found this post!